First day of the holidays. Up and out early for the train. 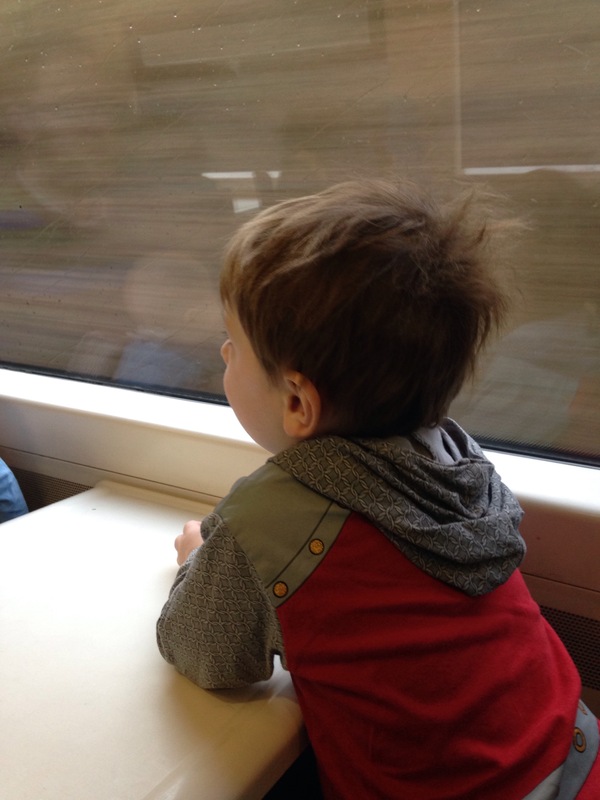 Son1’s uncontainable excitement at the train, every sign on the train, the view, the tunnels and the wheels. Deciding to walk in the sunny sun sunshine instead of the tube. Good chats with the husbandface. Blue skies and the pretty buildings of wealthy London. Feeling alive and awake. Fun of the museum. Big toothless grins all day from son2. Steak and chips for dinner and a big glass of red wine. Delighting in my favourite boys/man all day long. Happy grateful sigh.